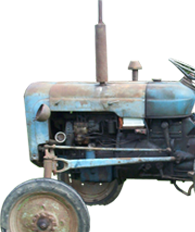 Specialising in new replacement & used parts for vintage & classic tractors supplying farmers, collectors & enthusiasts alike. for vintage & classic tractors. Collection possible by appointment. We also undertake the restoration of vintage tractors.